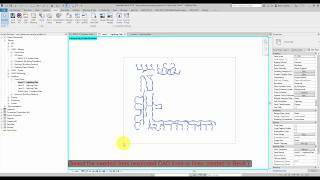 This tool is designed to convert Autodesk® Revit® lines into an electrical wire. The tool will work for Revit model lines or lines imported from CAD. The tool will suit the users who are transferring CAD to Revit. Instead of creating the wires one by one the tool can convert the CADwires into Revit Wires. Also, the tool can work in Revit lines and convert them to CAD lines.